Another week of Fortnite challenges could have you running around like a headless chicken. Luckily for you, we have the map you need. 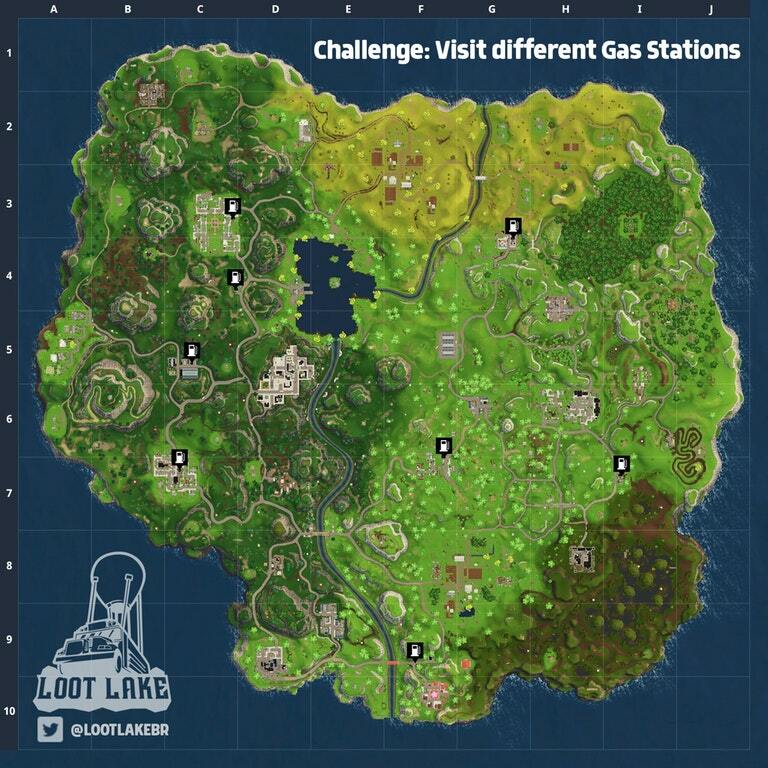 As part of Fortnite’s Week 5 Challenges, players are tasked with visiting three Gas Station locations in a single match. Previously you’ve been challenged to visit a number of locations over time, but this one specifically makes you visit three in one match, which can be tricky if you’re trying to avoid getting shot and stay out of the deadly Storm Circle as well. The good news is that there are loads of Gas Station on the Fortnite map, as you’ve no doubt already noticed. The easiest to find are in Pleasant Park, Salty Springs, Greasy Grove and Tomato Town, although these are spaced fairly wide apart. You can also find Gas Stations just North of Lucky Landing, East of Snobby Shores and South of Retail Row. If in doubt, remember that all Gas Stations are either in a town or on a road. Remember that you will need to complete the match for this Challenge to register as complete. You can’t just quit out of the game once you’ve hit three Gas Stations or you’ll lose the challenge. Now that challenge is complete, have you found the hidden map in Anarchy Acres? Before Fortnite Season 4 begins next week, you might need to complete a few final challenges that you’ve missed along the way. Here’s a very handy guide to all of them.